Finally, cuddling your child and adoring them in the way we do with new babies will also help them to feel special. Counting their beautiful toes, telling them how wonderful and perfect they are, all the ways we openly adore babies — your older child can benefit from them, too. 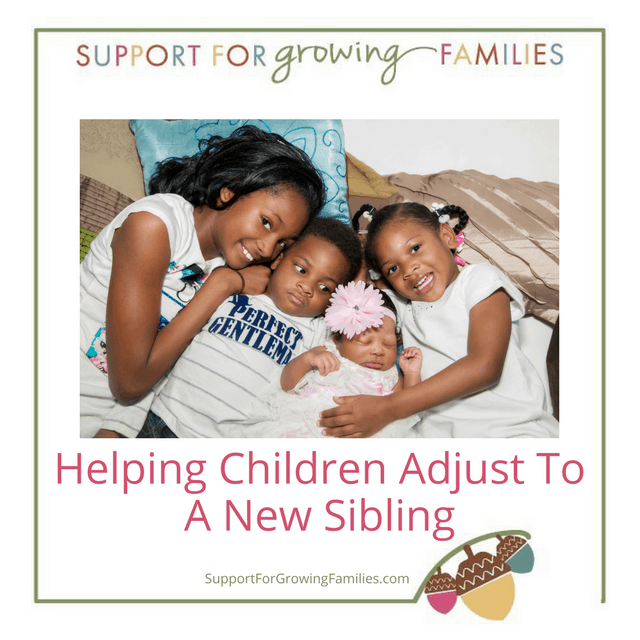 Sometimes children will be upset by our need to pay attention to their sibling. It might help you to know that your warm look, an offer for them to cuddle next to you or in your one free arm might be all they need in those moments when they are crying and seem heartbroken. You don’t have to fix it, you can just be with them the best you can and try to remember that they are healing a hurt — not manipulating you, “trying to get their way,” or being bad. Having a chance to talk about all of this to a warm and caring listener, and then listening to them, in turn, can make it possible to go back and listen more and better to our children. This article first appeared in the Crazy Wisdom Journal on September 3, 2014.